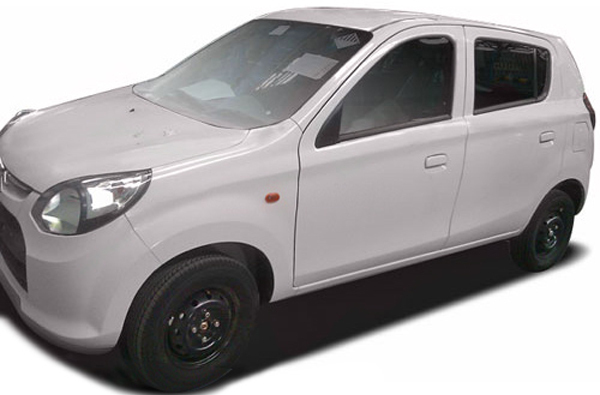 In spite of the continuous increase in the rates of petrol and diesel that has a shocking effect on the sale of cars in the Indian market, the country’s top car selling firm, Maruti Suzuki is expected to roll out its top selling car, Alto 800 with a CNG alternative. As the introduction of the Alto 800 draws nearer by the day, there are already news reports and conjectures that the ‘People’s Car’ will re-establish its place as the top selling car with the CNG edition. As per reports, the auto giant sold 17,500 Alto cars during the month of July this year as against to more than 24,000 vehicle units, which the company sold during the same period of last year; figures declining because of the increase in rates of fuel. In actual fact, the Alto sales were overpowered by another car, Swift, during the month of April, 2012, as the hot selling model in the Indian market, the report also said. Accordingly, with the aim to get back the position it was famous for, Maruti Suzuki is eyeing forward to introducing the CNG edition of the Alto 800, as per reports. The CNG edition Alto 800 is projected to be pricier by approximately Rs 30,000, positioning it between competitors the Hyundai Eon and the Tata Nano. The source added up that Alto 800 might provide a fuel competence of about 20 kilometers per liter.